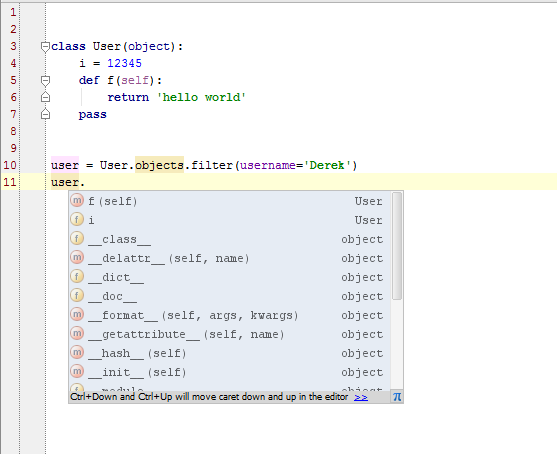 I have 'user = User.objects.filter(username=email)', yet after this statement pycharm does not realize that "user" is a "User" object. Other than a manual type assertion, is there anything I can do? It is not reproducible for me (please look at the screenshot). Please try File->Invalidate Caches->Invalidate and Restart. In case it does not help please provide a sample project to reproduce this issue.